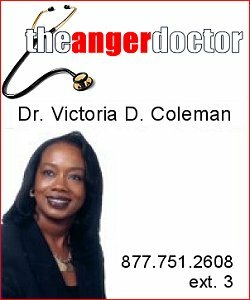 DR. VICTORIA D. COLEMAN, aka, "Dr. V"
Dr. Victoria Dorée Coleman, The Anger Doctor, is an internationally recognized Anger Management Expert, Behavioral Health Specialist, Clinical Mental Health Counselor, and Online Professor of Psychology, Counseling, Human Services, and U.S. History. With expertise in distance education and the virtual classroom, she is proficient in ANGEL, Blackboard, eCollege, Moodle, WebCT, and Wimba learning management system (LMS) platforms. A former tenured professor at Purdue University in West Lafayette, Indiana, Dr. Coleman has held positions in higher education, mental health, social services, gaming, food and beverage, transportation, and criminal justice, including the State University of New York, Northwestern University, Educational Testing Service, and American Airlines. Professionally, she is a member of the American Mental Health Counselors Association, National Association of Forensic Counselors, the National Career Development Association, and a Clinical Fellow of the American Association for Marriage & Family Therapy, to name a few. She also conducts Substance Abuse Evaluations for the U.S. Department of Transportation. Dr. Coleman holds several licenses and certifications, and is the first National Certified Career Counselor, the first and only National Certified Gerontological Counselor, the first and only Diplomate in Sports Counseling, and the first and only Master Career Counselor in Southern Nevada. A founding member of the International Membership of Professional Advisors, Coaches, and Trainers (IMPACT), Dr. Coleman completed an Internship and is a Certified Federal Mediator for the United States Equal Employment Opportunity Commission (EEOC) and the United States Department of Homeland Security (DHS). CAREY M. ZEGART, aka "Coach Z"
As a former doctoral student at Purdue University, it was there that Carey M. Zegart first met Dr. Victoria D. Coleman. She was his major professor. While studying Counseling & Development under Dr. Coleman’s tutelage, Zegart became involved in several pursuits. He served as an athletic/academic monitor for the Purdue men’s basketball team, as well as a founding member of the athletic, career development group STRATEGIES. This group, under the direction of Dr. Coleman, was aimed at addressing many of the career, social, and emotional needs of student-athletes. It was also at Purdue where he met, now long time friend, Steve Lavin, who after his UCLA head coaching career, is now an analyst for ESPN. At Purdue, Zegart realized his love for basketball, and like Lavin, set out to pursue a basketball coaching career. Having worked some 9 seasons at 2 nationally ranked programs, Zegart is proud to have recruited 2 players that went on to become junior college All-Americans, as well has having coached 5 academic All-Americans, and at least 13 players that would go on to play Division 1 basketball. Having coached under Larry Bird’s former Coach Bill Hodges, worked Coach Lavin’s basketball camps, and served under Florida High School Hall of Famer Jim Haley, Zegart has been exposed to some of the best minds in basketball. Prior to coaching basketball and attending Purdue, Zegart earned his Master’s degree in Sports Psychology from Michigan State University and his Bachelor’s degree from the University of Kentucky. With his academic background in the psychological aspects of sport, along with 9 seasons of collegiate basketball coaching, it is clear that Zegart’s approach to athletic performance comes from an eclectic, well rounded background. Additionally, Zegart has worked with at risk youth as both a physical education director, and later as a club director with the Boys & Girls Clubs of Metro Atlanta. He started and ran the club in Canton, GA before returning to coaching. 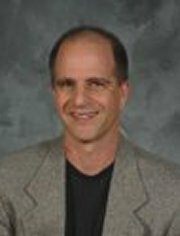 As a Physical Education Director, Zegart was Metro Atlanta’s first two-time recipient of the Physical Education Director of the Month Award. Dr. Jan M. Newby is Founder & President of Appleseed Professional Development Center, LLC. Ms. Newby has embraced her assignment to pursue empowering others through successfully encouraging them to enhance and cultivate their God-given natural talents and abilities. 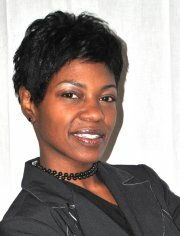 She has published self-help books in the areas of finance, goal setting, and life skills development. Jannise is a native Detroiter and currently resides in the metropolitan area. She attended Detroit Public and Parochial schools, continuing her education at Wayne State University, obtaining a Bachelor of Science degree in Community Development with a concentrated study in Public Administration / Health Science; graduate studies in Leadership, obtaining a Master’s degree in Professional License Counseling from Central Michigan University. Areas of specialization consists of career development, psychotherapy in depression, anxiety, conflict, grief, stress management, body-image issues, and general life transitions. Dr. Newby received a Doctorate in Educational Leadership and Change from Fielding Graduate University.